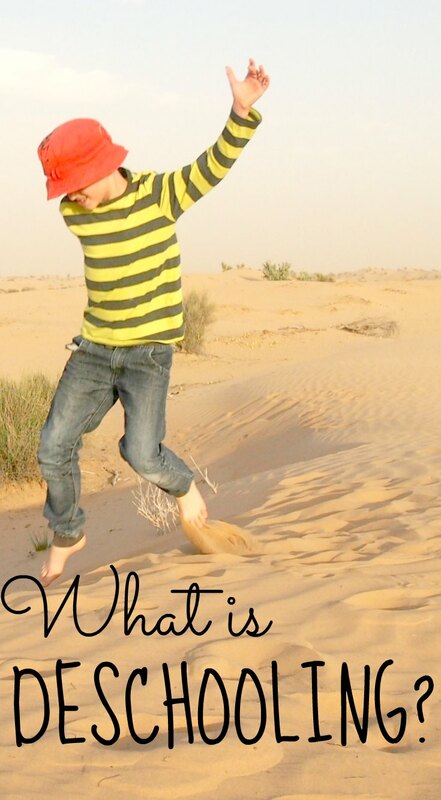 Deschooling is a term you’ll often hear in homeschooling, unschooling or worldschooling circles. It’s a common term, but one you need to grasp before moving forward with a homeschooling career. Both the parent and the child have to be deschooled, some give ratios, one month of deschooling for every year the child was in school. For adults, the parents, obviously we can’t do that, here deschooling means forgetting what a massively school influenced society has taught us to believe education must look like . There is no set deschooling period in this instance, deschooling comes through a change in thinking. That change will accelerate once the parent sees how their child will really learn. It’s quite likely that most home educating parents have at least started their deschooling process before they consider, and then plunge into, a homeschooling lifestyle. The shift is just not possible without at least starting the de-schooling though-shift. This pin is for you to save to Pinterest, thanks for helping! For Adults, What is Deschooling? I’m sure you can think of many other ideas and thought processes that need to be deschooled out of the typical grown-up product of the education machine. It’s not uncommon for close friends and family to need a good degree of deschooling before they can get behind your new educational model too. That can be hard to engineer! For Kids and Students, What is Deschooling? Deschooling here refers to the mental changes a student goes through after removal from school or another institute of learning. The school mindset must be lost over time and the child must adapt to a new environment with far less regulation and structure. It is a period of adjustment. Some kids may pine for school mates, some may find they can’t occupy their time without being told what to do, others may be concerned about identifying as homeschoolers and attending homeschool events. It will come good with time, as I said above, the longer they’ve been in school, the longer this process can take. Don’t try and do school at home. Let the child rest and decompress but at the same time make life outside of school fun and enjoyable. Take long walks, really talk, get that parent-child bond as strong as it can be. Take educational trips or take part in activities, just stay away from the work sheets. Stay fit, active and healthy, don’t veg out o the couch, but do find vaguely educational TV shows or movies. Take them to places where they can hang out with other kids. Your child may be rejected by former class mates so be watchful of that in parks and playgrounds. Take first steps in joining your local homeschooling community, nothing too heavy, look out for informal play meet ups on neutral territory. Ivan Illich first popularised the term in his 1971 book Deschooling Society. 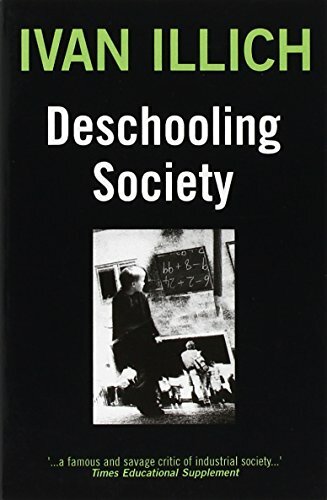 To me, deschooling can be the process of getting over expectations as induced by school upbringing and society by conventional rule-followers who do things the right and only way and think any deviation from the expected is weird and doomed to failure. But those “normals” went to school and know nothing different so maybe all of society’s expectations have their basis in government approved education. We need to move on past that roadblock. I asked around and got a few quotes on what is deschooling from other members of the living differently community. So, deschooling means different things to different people. If you’re a totally school-at-home homeschooler ( I’ve never met one but they do exist, somebody must be buying all those boxed curriculums!) the term probably isn’t important to you. The further along the scale you are towards radical unschooling, the bigger the deschooling shift must be. I don’t like to put alternate educators in boxes, all kinds of homeschoolers are welcome here. We all share a goal after all, to raise happy, healthy, well-educated kids who function well in the world when they leave our protection. Good on you for that! Sign up to follow, it’s free and easy to un-subscribe!